The fragrance of the fresh rose has the power to unite physical and spiritual love, the source of beauty, joy and happiness. One 12 cone box. Each smaller box comes with a stand for the cones. 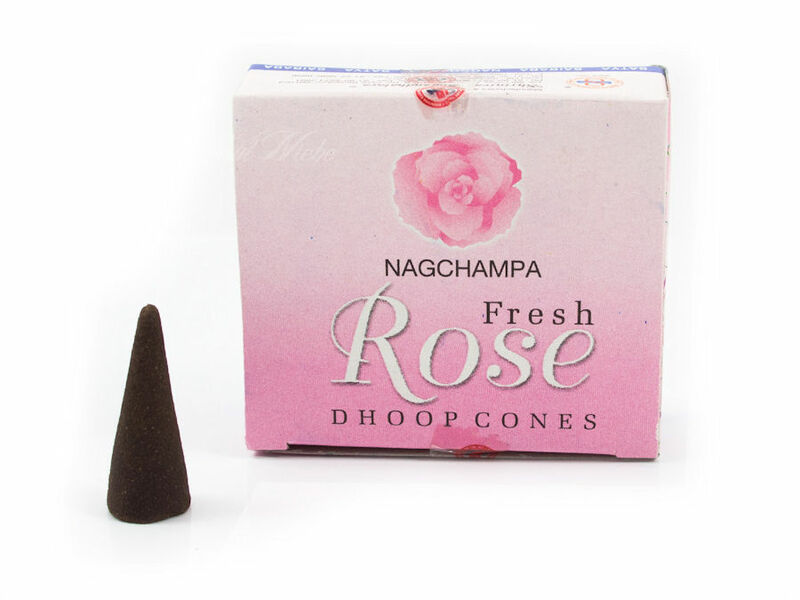 From the makers of the popular Sai Baba Nag Champa comes their Fresh Rose Incense Dhoop Cones. 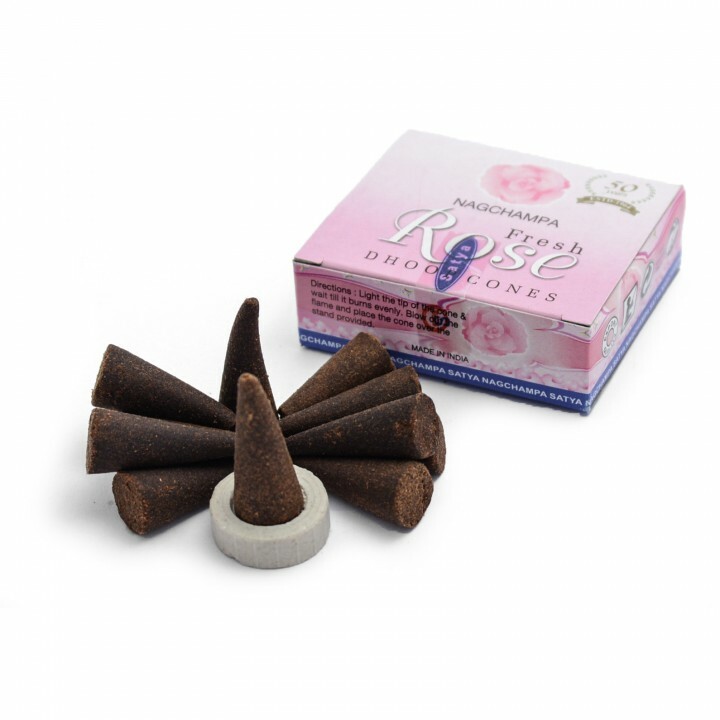 These have a distinctive but not too overpowering scent of Rose; very fresh and uplifting with a steady and balanced aroma. 'The fragrance of the Fresh Rose has the power to unite physical & spiritual love, the source of beauty, joy & happiness. 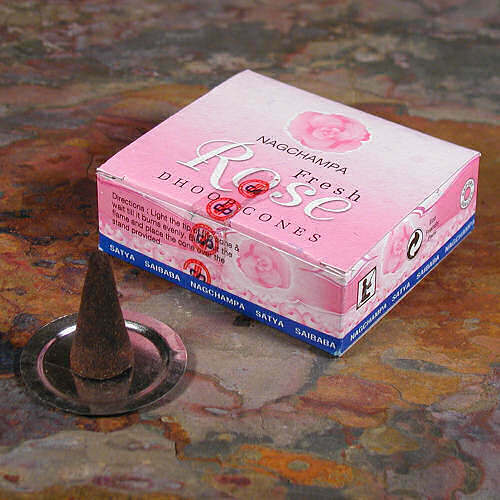 A small box contains 12 cones and a metal stand to burn the cones on.